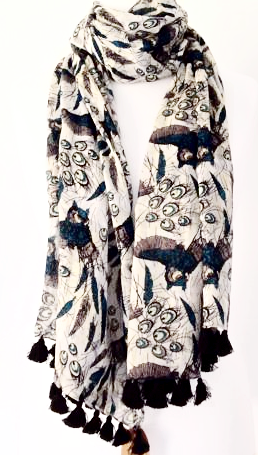 Light weight beige Owl scarf. The scarf is long, wide and very soft. Measurements : approx. 70 inch / 180 cm in length , approx. 20 inch / 50 cm wide.